"Burnout generally is identified as a work-related hazard that is prevalent amongst those working in people-orientated professions, such as healthcare"
Popular culture is imbued with talk of wellbeing. A brief Google search shows that we are obsessed with well-being. It's everywhere from social media to the apps on our phone (both authors are guilty on this count). They cover the gamut of relaxation approaches; from breathing to yoga. All promise the (increasingly mythic) experience of wellbeing. We use them in our personal lives, our clinical practice and discussion with friends. They focus us on our individual sense of "wellbeing", but of course they do little to address wellbeing in our lives more broadly. We feel we take control when we use them, and perhaps we feel "well" in that sense. This preoccupation is not new, but it is newly back in fashion. The Ancient Greeks were concerned with a more all-encompassing version of the wellness trend. They were worried about human flourishing, or what they called Eudaimonia. Flourishing was taken to be the very point of a human life. In order to live a "flourishing" life, Aristotle told us that you need to have a good character, which you need to work at, like you might work on your body at the gym. The belief that the basis of a good life is a good character has persisted and remains one of the core areas of ethical study amongst professional philosophers today, under title of Virtue Ethics. Even this concept is currently live in popular imagination – for example, as a focus of Netflix comedy, The Good Place. Aristotle recognised that living a flourishing life requires more than good character. It also requires that certain external factors be in place. In the Nicomachean Ethics, he writes "it is evident that eudaimonia stands in need of good things from outside… for it is impossible or difficult to do fine things without resources." This brings us back to the recent interest in wellbeing. Perhaps the wellness trend is because we live in a time of such frustrated flourishing? Indeed, we can see the opposite side of the coin playing out online too, where chatter around "burnout" is also rife. But what is burnout, where does it come from, why should we care, and what can we do about it? The World Health Organisation describes burnout as a "state of vital exhaustion". A life of "vital exhaustion" seems directly opposed to the flourishing life the Ancient Greeks identified as crucial. Burnout generally is identified as a work-related hazard that is prevalent amongst those working in people-orientated professions, such as healthcare. In 2017, an editorial in the BMJ identified that while this kind of work can be fulfilling, it can also drain your emotional resources. Care providers often prioritise the needs of others over their own. Over time, this constant emotional depletion can result in burnout, which is characterised by feelings of overwhelming exhaustion, depersonalisation or cynicism towards people and work, and a sense of professional inefficacy. We see that rates of burnout are highest amongst those who are expected to care for us: the clinicians at the front line. Writing in the Lancet in 2016, Colin West and colleagues describe rates of burnout amongst practising physicians and trainees as having reached "epidemic levels". Rates of burnout amongst medics are twice as high as in any other profession. It's likely that there are many reasons that underpin this, both at the level of the individual clinician and for more systemic reasons. Of course, current pressures in the Irish health system are hardly news and they are the focus of daily media. But high rates of doctor burnout should worry all of us, especially given the links to compassion fatigue and patient care. Dr. Rachel Clark, a trainee doctor and journalist , writes eloquently about these challenges in her book Your Life in My Hands as well as on social media and in the Guardian. She explains that it is "difficult to convey how gruelling and demoralising it is to strive your best for your patients in a desperately overstretched workplace that breed corner-cutting, indifference and excessive haste." In Ireland, this area is problematic too. Dr. Blanaid Hayes’ work on the national wellbeing of doctors highlights that there are unrelenting demands in their work. Although 70% of doctors report being highly motivated to practice medicine, one in three have experienced burnout and 10% report extreme anxiety, depression and stress. Four out of five doctors reported they had gone to work when unwell and only 20% felt they had enough time for their own family life. In response to the study, Professor Frank Murray, President of the Royal College of Physicians of Ireland said "this research highlights how the stresses and strains placed on our current healthcare system are taking a toll on the frontline staff, which is a serious issue for each of them, but can also impact on the quality and safety of patient care as well as their personal and family lives. It is deeply concerning that, according to this study, one in three doctors is suffering from burnout." Some doctors are voting with their feet, and leaving Irish healthcare entirely. There are clearly issues on the ground, including supports for clinicians, and systemic issues relating to the contracts of doctors and their working environments, which need to be addressed. So what else can be done about this? This is where Aristotle and the ancient Greeks can perhaps help. An Aristotelian might suggest two responses to the burnout epidemic; one internal and focussed on character, the other external and focused on the resources needed to do "fine things". The earlier example of apps on our phones, or indeed the proliferation of individual mindfulness strategies, are examples of internally focussed approaches. While individually meaningful, attention to the external structural factors that lead to burnout is also required. More than this, we need to consider how to build systems where clinicians, and patients, can flourish. And the scientific evidence supports this. A 2016 large-scale study indicated that both internal and external strategies lead to decreased rates of burnout and a group at Mayo Clinic have been publishing extensively on both individual and systemic approaches. Focus on burnout as an "individual failure" is never going to be an effective long-term strategy. Rather, we also need to take account of the structural drivers of the epidemic, such as loss of control and unreasonably long work hours. In Ireland, there is increasingly attention being paid to this. For example, systematic approaches are being introduced in training. The College of Psychiatrists of Ireland now supports all trainees to participate in at least 40 reflective practice groups (called Balint groups). 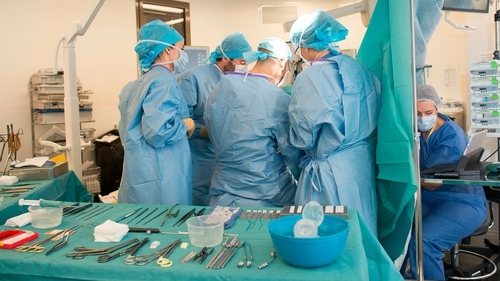 Hospital and organisation approaches such as Schwartz Rounds (another reflective group practice) are being supported by the HSE following a successful initial pilot. These provide a framework where staff from across an organisation can meet to reflect on the emotional aspects of their work. Staff have reported the rounds as interesting, engaging, a source of support, and a way of bringing together people from a range of disciplines to share experiences. There is international evidence showing that these supports, when built into systems and supported by organisations, lead to improved staff wellbeing and resilience. Ultimately, this has an impact on improved patient care. But more needs to be done. At the very least, thinking about the problem of burnout as Aristotelians helps us see that mindfulness apps alone cannot undo the burnout epidemic. We also need to make sure that external sources of support are in place for individuals at the front line, and that they systemically built into the environments they work in. For patient care to flourish, we need motivated staff who are engaged in flourishing lives within the healthcare system. Eudaimonia has knock on benefits for us all. The Mind Reading collaboration brings together clinicians, patients and specialists in medical humanities to consider shared problems in medicine. In 2018, we led a workshop on burnout involving both clinicians at the front line and humanities experts to see if philosophy could inform some of the approaches to this issue. The next Mind Reading event will be held at St Anne’s College, University of Oxford in May 2019 and will focus on intersections between adolescent mental health and adolescent literature. Dr Katherine Furman is a Lecturer in Philosophy who directs the MA course in Health and Society at UCC. Dr Elizabeth Barrett is a Consultant in Liaison Child and Adolescent Psychiatry at Children's University Hospital, Temple Street and an associate professor at UCD.